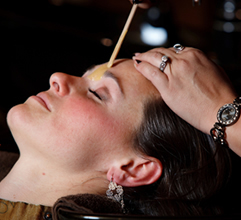 Serenity Salon is a state of the art salon and day spa with an extensive salon services menu. We offer a full range of salon services including our famous Signature Cuts! We treat every client as a unique customer. Our highly trained stylists are continually refining their skills and learning new and innovative techniques. We are a Redken Certified Salon carrying Color Gels, Shades EQ, Shades EQ creams and Chromatics. 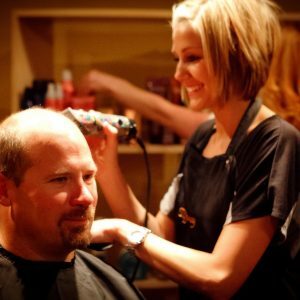 Each Serenity Haircut includes an individual consultation with your stylist, a luxurious shampoo and relaxing head massage, followed up by a blow dry. We work with each client to recommend products and services that will enhance your look and help to recreate that beautiful salon look at home. Treat your teenagers to an expert haircut. Our stylists will teach your teen tips on hair care and introduce products that will sure to be a hit! They aren’t little boys anymore and our expert stylists will give them the right cut to fit their active lifestyle. Yes, we cut kids hair, too! All Serenity stylists are trained to cut little locks. For a quick cleanup we can always fit in a bang trim, and men can receive a beard trim with their service or as needed. Whether you are looking for that perfect look for prom, a wedding, or any other special occasion, our talented staff will provide a beautiful style to make you shine on your big day. For a special occasion or just to make your day, have a Serenity stylist wash your hair, massage your scalp and give you the ultimate style. With multiple options from the Kerastase line, we customize this conditioning treatment to provide our clients with an in-salon treatment that will transform your hair. We customize this treatment to your specific hair needs. This treatment will help make your hair brand new and is perfect right after a color service. A moisturizing conditioning treatment that helps hydrate your hair and keeps it feeling smooth and healthy. Redken products are customized to provide our clients a deep treatment mixed just right for your hair type, and hair service. Ask your stylist about Redken! With multiple options from the Kerastase line, we customize this conditioning treatment to provide our clients with an in-salon treatment that will transform your hair. This service includes a Blow Out. Highlights/lowlights provide dimension and provide a natural looking color and our clients love their new look! Consult with our experienced stylists to determine what method and color of highlighting is best for your individual style. Enhance your look with a partial foil highlight. Partial foils can accentuate your best features or draw attention to a great hairstyle. Consult our talented stylists to determine the best color choices for you! Here is a quick and simple way to add just a few accent highlights or lowlights, accentuating your look and style. Got roots? Not with our exclusive Retouch service! Your stylist will select your perfect shade to blend new growth into your existing color. It’s a blending experience that has you looking and feeling salon beautiful! Generally used for shorter hair, this is an additional way to add highlights to your hair. Consult with your Serenity stylist for best results! Need a color refresh or a whole new shade? At Serenity, our stylists work with you to determine what color systems will work to have you looking beautiful in no time! We call it color “camo” and it is an excellent way to blend grey and obtain very natural results. No lines, no outgrowth, just a custom color that will slowly wash out leaving your colored hair a secret between you and your stylist. We require a consultation with your Serenity stylist for this service. We do our best to give you your desired look while keeping the integrity and health of your hair a top priority. We charge by the hour plus how much product is used. Get a refresh on faded ends or a tonal change with a Serenity color add-on. Ask your stylist about low-lights and other color add-ons. It’s a fun way to add dimension or try something new with your hair color. To darken or even cover grey, tinting your eyebrows finishes your look. What a difference a lash tint makes. This process helps to darken your natural lashes in just a few simple steps. Experience the difference today! A semi-permanent color that adds dimension and shine to your hair with several different tones to choose from. Our stylists will customize any perm for our clients, including long hair, waves, spiral curls, extra lift and volume. We take chemical services very seriously and your safety and your hair’s health is our top priority. We recommend a consultation with your stylist when determining this service. Our Regular Wrap is generally recommended for our clients with shorter hair. 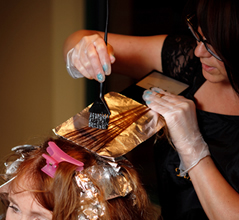 Our experienced stylists utilize Tressa products, the industries leader in perms. Experience a permanent smoothing system for a smooth or straight style. Your stylist will deliver a moisture enhanced, volume reducing, and frizz eliminating straightening service. Go from damaged, frizzy, or curly hair to smooth, sleek and shiny hair. Brazilian blow out helps improve the condition of the hair by creating a protective protein barrier around the hair shaft and smoothing the cuticle. We customize every treatment to each individual client’s needs and different hair types. This treatment helps minimize your blow dry time and makes less work for you in the mornings. A time-saving, anti-frizz treatment that smooths and shines your hair while adding protein to the hair with a silky finish. Manicure that includes soak, file, cuticle clean up, exfoliating scrub, moisturizing hand massage, buff and polish. Pedicure that includes soak, file, cuticle clean up, removing calluses, exfoliating scrub, moisturizing foot massage, buff and polish. Soak, file, cuticle removed, calluse foot file, feet first buffer, scrub, paraffin, massage, lotion, polish. Pedicure that includes soak, file, cuticle clean up, calluses removal, exfoliating scrub and then detox mask, moisturizing foot and leg massage, feet dipped in paraffin, buff and polish. Express pedicure with glitter toes! Express manicure with the shellac polish that is a gel, lasts 7-14 days with no chipping, and is cured under a uv light. A pedicure just for men! We conquer the callouses with a tough scrub and finish with a massage, heel therapy, and buff/shine while enjoying a complimentary beer. Need a quick fix? Our express pedicure offers a fast but thorough clean up of the nails with moisturizing lotion and polish. A nice gentle manicure includes nail shaping and your choice of polish. A nice gentle pedicure includes nail shaping and your choice of polish. Eyelash extensions are semi-permanent extensions where a false eyelash is glued onto each one of your individual eyelashes. Extensions cycle out with your natural lash allowing you to come in for a fill on average every 3 weeks. Experience what a smoothing and/or relaxing Keratin Express treatment delivers, in just 35 minutes! This super advanced treatment contains our exclusive Cyprosil complex that bonds to hair, providing ultra-conditioning and beautiful smooth shiny hair that lasts 4-6 weeks.